Do you ever ask yourself the question “What difference am I making in the world?”. Even though I don’t know you, I know that you’ve asked that question, simply because you’re human. So, what’s the answer to that question? The answer is simple…a HUGE difference! You ask how do I know, since I’m not a trained professional who measures the impact of each individual on the world? Well, again, that’s a simple answer…because each and every one of us make a difference…period. I was impressed how well all seven gifts were well represented within our small group of 19 people. Our gifts are given to us, so that we can make a difference in the world. What does that mean? You teach a little child to read. That little child grows up to be a doctor, lawyer, mechanic or construction worker. All these professions help our society to function as a whole and the ripple continues. So, you see, it doesn’t matter how big or how small the first drop is. As Mother Teresa says, we all create ripples in the water, we just need to cast the stone. It could be a single tear or drop of sweat, or even a whole bucket of water! Regardless, YOU make ripples every single day with the gifts you have been given. 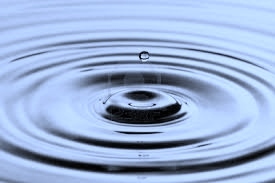 What ripples are you causing in the world, with the gifts that have been entrusted to you? Thank you, Gwen. I love that each and every one of us are made to make a difference. That’s pretty awesome! Next PostNext Stepping Out of the Comfort Zone…Guatemala Bound! !